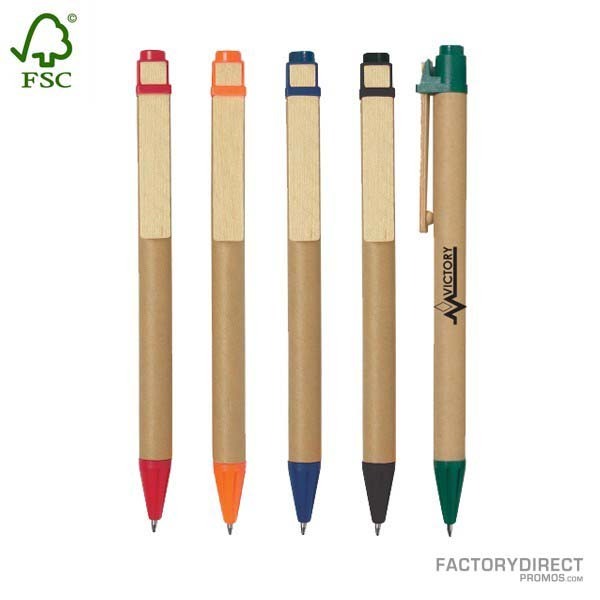 Customizing our recycled paper pens with your logo does more than just promote your brand. This eco-friendly move also lets your customers know that you care about the environment and are taking steps to protect and preserve our resources. 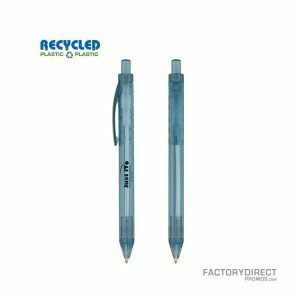 This well-made pen features a retractable design and a clip so it can easily be attached to a pocket or notebook cover. 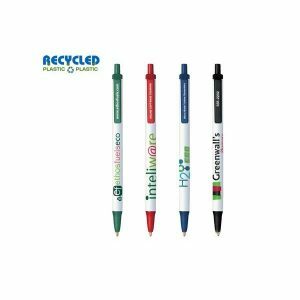 Wholesale custom pens are great for tradeshows or promotional events because they will get your logo and company noticed.